How Do You Get Kids Interested In STEM? An added benefit of STEM is that it fosters that love of learning. Instilling that passion and drive to learn is at its most crucial stage for children ages 5-11years. The best way to foster a love of STEM is to encourage curiosity. From a young age encourage kids to question, to explore and to play. Find their passions and help them chase those passions. You will be amazed where your kids can go when they become passionate about learning. Engineering: Nothing makes you more proud than when you create something that works – help them to create their own mini salt water powered car, a can robot/rocket or their own little torch. All simple experiments that make them love STEM. Shopping and banking: A trip to the supermarket to buy grocery is STEM waiting to happen. You can use shopping and going to the bank as a wonderful way to teach maths operations on money – addition, subtraction, change, simple interest, etc. Paper Planes: Childhood wasn’t complete if you didn’t learn to make a paper plane or boat. It was one of my main accomplishment in school. Origami (paper folding) is an excellent STEM activity to teach geometry, thinking skills, mental concentration, fractions, sequencing, problem solving, and fun science. Don’t wait for your child’s school to roll out a STEM initiative or establish a STEM lab. 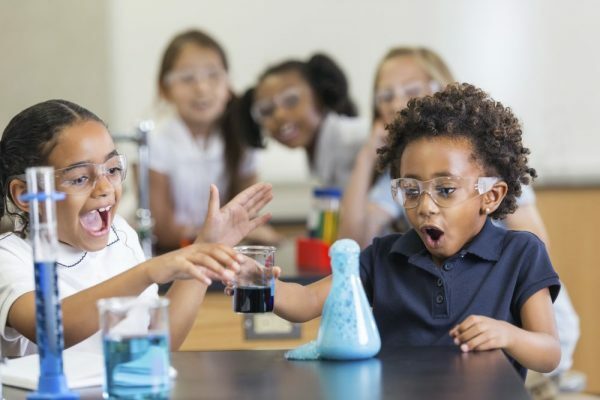 Starting right now, you can be intentional and begin to imbibe the love of learning STEM in your child and watch your child acquire critical thinking, creativity, collaboration and communication skills.